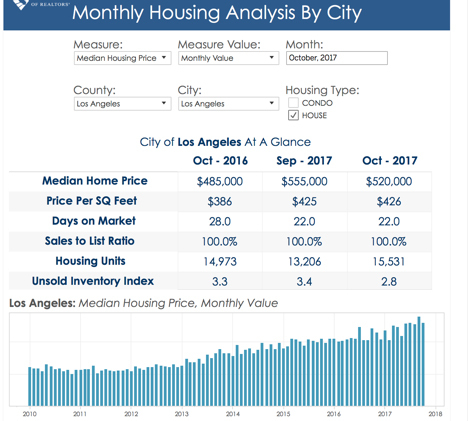 Recent statistical analysis of the Los Angeles real estate market shows that while there was a dip in the median price of sold residential real estate from September to October 2017, the longer-term uptrend is still in place. The Federal Reserve just bumped its key rate by ¼ point. While mortgage rates inched up a bit, the rate for a conforming, 30-year fixed mortgage remains under 4%. That said, there were three rate hikes this year and additional rate increases are predicted. 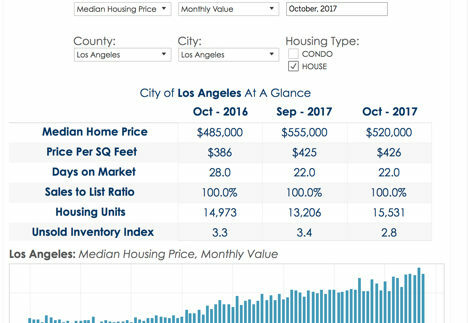 If you are considering buying a home, give us a call while these rates remain under 4%.